Happy holidays everyone! Humblest of apologies, again, for being MIA in the blogosphere. Life events and the writing of the novel are to blame. I didn’t realize how much work—wonderful work—writing a novel is. Oh, and life events seem to require a lot of work, too—mostly wonderful work, though with the soccer practices and the jiu-jitsu classes and the walnut cracking seminars, I just never realized how hard it was to raise baby raccoons. Anyway, since I am writing a novel that centers around animals and is largely told from their point of view, I thought I might share with you some of the animal books—fiction and nonfiction—that have inspired me and influenced me. Click on the titles for links to buy the books. If you know a person who loves animals, or are such a person, you might want to pick one or more of these up as gifts for them, or for yourself. This year, I’m getting the complete works of Hemingway for the baby raccoons to read. I’m trying to toughen them up. 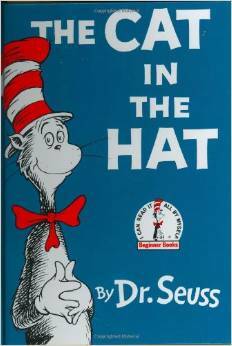 A six-foot tall anthropomorphic cat wearing a red-and-white-striped stovepipe-like hat and a red bowtie—yay! I had a ton of Dr. Seuss books as a kid, and I read them, and gawked at the wonderful illustrations, over and over. A classic and beautiful animal world with wonderful characters. 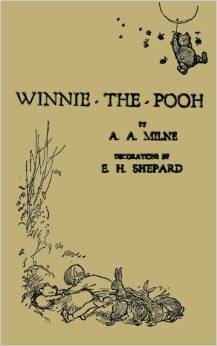 Lovely for children and even adults, and I suggest you seek out the original version with illustrations by E. H. Shephard. What I remember most is the beautiful meditations on friendship and love. Wonderful story from my early childhood that planted the seed of feeling compassion for animals, and showed me what they really do to pigs on farms. Beautiful and heartbreaking, another timeless classic. Richard Adams is my hero. I think he writes animals better than anyone—he anthropomorphizes them, and yet he places them in a realistic context. They talk and think and feel, but Adams also is mindful of their animal natures—their heightened senses, their fear of predators, their struggle for survival and for food, their connection to nature. Adams not only conveys a sense of what life is like through an animal’s eyes, but also is able to explore some perhaps more human emotions, and—better yet—to explore the nexus of where human and animal emotions meet. The emotions that we share with animals. All this, without losing the suspension of disbelief and without losing the suspense and joy of a story well-told. Adams is my model with the novel I am writing—this delicate and beautiful balance of anthropomorphism and exploring the inner worlds of animals. Watership Down is his most famous work, about rabbits fleeing their warren and experiencing a grand adventure, but he has written other books that are just as amazing. A dramatic, emotional, and suspenseful adventure for adults and older children. I reread this recently, and it’s still fantastic. This is a deeper, darker, more intense exploration of animal characters. In this case, it’s a story of two dogs who escape from an animal testing laboratory. 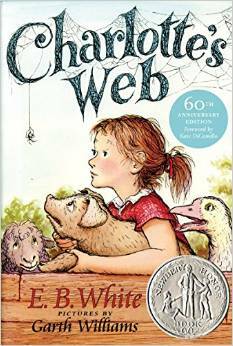 Unlike Watership Down, which is told solely from the perspective of animals, there are animal and human characters in this book. There is a powerful message here about the horrors of animal testing. But like all great literature, it’s not preachy, and the message is in the background. In the foreground is the friendship of the two dogs and their desperate journey of escape. There is a beautiful, heartbreaking fox character in the story as well. This is a poignant work meant for adults, and it will stay with you. 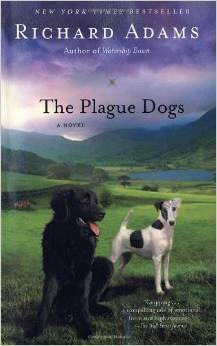 This is Richard Adams’ masterpiece, and this and The Plague Dogs are unfairly overlooked. 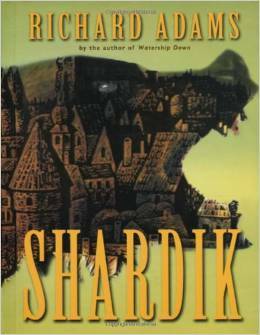 Shardik is a twisting, dramatic, complex, and epic fantasy that is about humans, but I mention it here because there is a bear character in the book that is unforgettable (and is a focal point of the story). The first forty or so pages are a bit challenging, but if you manage to weather them, you will experience an amazing adult adventure. This is the Lord of the Rings for adults. This is a book I will reread. Kind of the opposite of Richard Adams. No anthropomorphism here. (Though that’s relative, because as soon as a human presumes to write about what an animal is thinking or feeling, he is anthropomorphizing to some degree.) 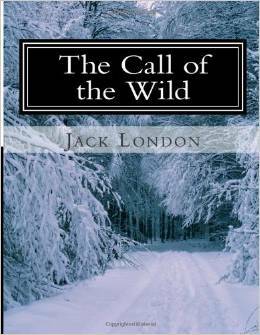 Gritty, spare, fast-moving yarn about a once-domesticated dog who is forced to be a sled dog in the Yukon, and discovers his ‘wild’ nature. One thing I want to tell you right off the bat is: put the movie out of your mind. I have not seen the movie, and that’s because, based on the trailers and other marketing materials, it appeared to me that Mr. Grogan’s story was Disney-fied and made to become more “precious” than it really is. The book is honest and heartfelt, and it earns every bit of it (no puppy close-up shots necessary). Mr. Grogan is an accomplished and beautiful writer, and anyone who has known the love and friendship of a dog—particularly a “difficult” one—will discover enormous pleasure in this book. Sort of the cat version of Marley and Me. 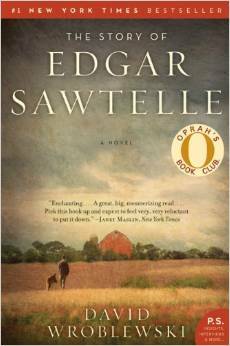 Not written quite as well as Mr. Grogan’s book, but still wonderful and deeply affecting. 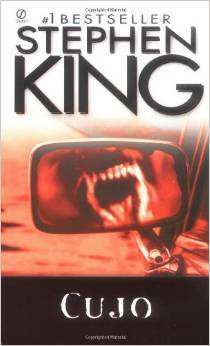 This is an underrated gem by Mr. King, about a family pet Saint Bernard who gets bitten by a bat, slowly gets sick, and eventually goes rabid and terrorizes the family that loves him (and everyone else). The writing from the point of view of the dog as it slowly gets sick and essentially goes crazy, is vivid, perceptive, and skillful. The link is to his website. Mr. Tofield writes books, creates comic strips, games, and even makes animated shorts. I am not singling out a particular work—just do yourself a favor and look over his website. His work is beautiful, funny, and honest and true to what cats are really like. This has become one of my favorite books of all time. After I finished it the first time, I read that it was a conscious retelling of Hamlet. I missed that, and it didn’t affect my enjoyment of the story one bit. You don’t have to be an animal lover to appreciate how wonderful this book is, either, and to enjoy the gorgeous words Mr. Wroblewski writes. This is essentially a story about humans—a family living in Wisconsin, breeding dogs. The book is a thriller, it’s also a story about family, love, betrayal, loss, and of course dogs. The bond between humans and dogs is richly explored, and Mr. Wroblewski carefully selects only a few moments to step into the body of a dog. But when he does, the results are stunning. This is a book I will reread. Some books about animals that I haven’t read yet but want to are Animal Farm (somehow I missed this in school, and it’s at the top of my list), Never Cry Wolf, White Fang, and Traveller—which I just discovered by doing research for this blog post. Do you have favorite animal books? What am I missing?